To sign up to receive an update from SOIL’s teams in Haiti directly in your inbox each month, click here to join the list. This month, I felt it would be irresponsible not to directly address the challenging situation that is ongoing in Haiti. As some of you may have heard, the entire country has been on lockdown for the past six days as demonstrators take to the streets in a growing movement demanding the resignation of the president, justice for those accused of embezzling billions in development funds, and a solution to the economic crisis that is gripping the country. So far the government has remained silent, and there is an air of uncertainty and tension that makes it impossible to know what the coming days will bring for the nation. Behind the protests is the harsh economic reality that Haitians are facing. Over the past months the value of the Haitian gourde has plummeted, with inflation rates reaching more than 15%. With the price of basic good skyrocketing, people are finding it harder and harder to feed their families. This, combined with audit reports that accuse officials in the ruling party of embezzling more than a billion dollars, has driven people into the streets. Although the protests have exacerbated the challenges faced by many families, it is impossible not to understand the frustration driving the widespread mobilization. Amidst what I am afraid will be a painful period for Haiti, I am reminded of the incredible power and importance of basic service provision, especially during times of unrest. Over the past six months I have witnessed SOIL’s courageous collection team navigate road blocks at sunrise and wade through knee deep water to reach clients’ houses after heavy rainfall. Throughout difficult conditions of all kinds, our team remains determined to get out into communities and ensure service remains uninterrupted. They interact with clients on a daily basis, cover the miles of bumpy roads and narrow alleyways, and protect communities from waterborne disease. I take inspiration from them every day, and I hope you will, too. 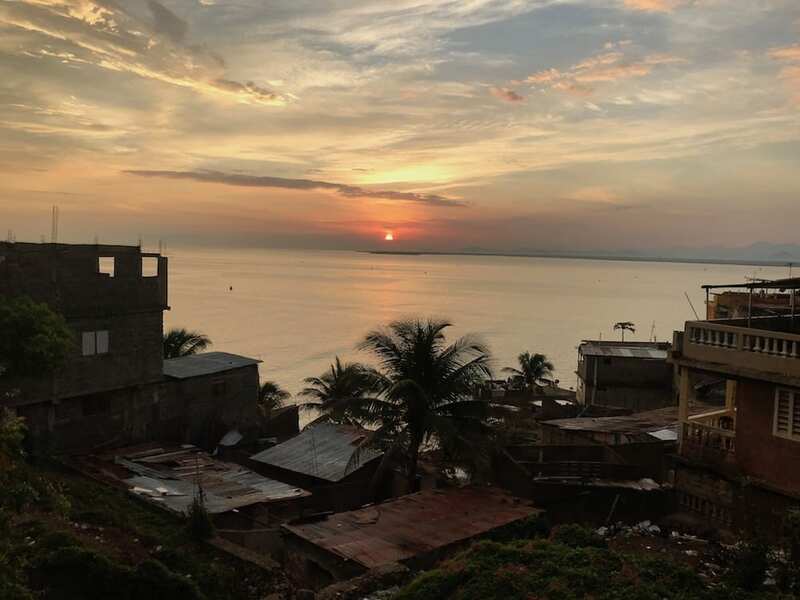 I recently spoke at a conference on post-disaster reconstruction in the Caribbean and was asked to share some positive trends that I have seen in Haiti which may have been masked by the headlines. As you can imagine, this was not an easy question to answer in the current climate. What I shared with the audience, and what I would like to share with you, is that despite unimaginable challenges, Haiti has always served as a lighthouse for change. Haiti gained global recognition as the first and only country to overthrow colonial rule and establish a free Black republic, and even today, albeit on a different scale, we continue to see innovation in Haiti leading to change in other parts of the world. In our small way SOIL is a part of this change and it has been so encouraging to see the story of the EkoLakay team’s work inspiring others around the world to develop similar programs. Our team will continue the fight to provide basic services in Haiti and to serve as a global model for what is possible, no matter the outcome of the coming days. We ask you all to please keep Haiti in your hearts in the weeks to come. No Replies to "February Newsletter: An Update from Haiti"